Perfect proportions for a delicious cream cheese frosting! 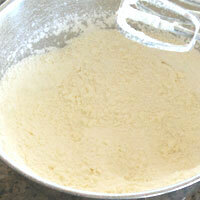 With an electric mixer beat the butter until smooth. Add the cream cheese and beat until smooth. Add the powdered sugar and beat until smooth. 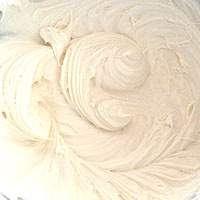 The cream cheese often will get stuck in the whisk, but keep beating until it releases and begins to stick to the sides of the bowl. If you skip this step you may end up with a lumpy frosting. 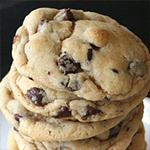 It is tempting to add the milk when you add the powdered sugar because the mixture will be very dry. Continue to beat until it the mixture is no longer dry. 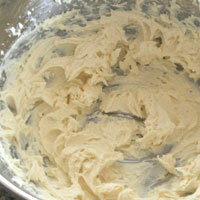 This again will make a smoother frosting and prevent adding too much liquid. Add the vanilla and milk and beat another minute. 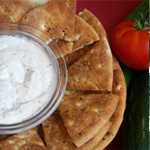 Set aside if using soon or refrigerate until ready to use. 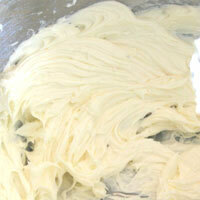 With an electric mixer beat the butter until smooth. Add the cream cheese and beat until (1)smooth. Add the powdered sugar and beat until (2)smooth. Add the vanilla and milk and beat another minute. 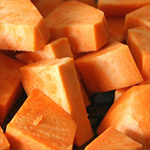 Set aside if using soon or refrigerate until ready to use. 1. 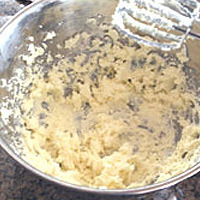 The cream cheese will often will get stuck in the whisk, but keep beating until it releases and begins to stick to the sides of the bowl. If you skip this step you may end up with a lumpy frosting. 2. It is tempting to add the milk when you add the powdered sugar because the mixture will be very dry. Continue to beat until it the mixture is no longer dry. 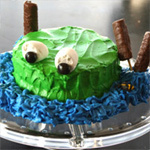 This again will make a smoother frosting and prevent adding too much liquid.